It is very unfortunate fact that during pendency of this writ petition, more than 25 retired employees died due to non-payment of pension to them for survival, said the Bench. 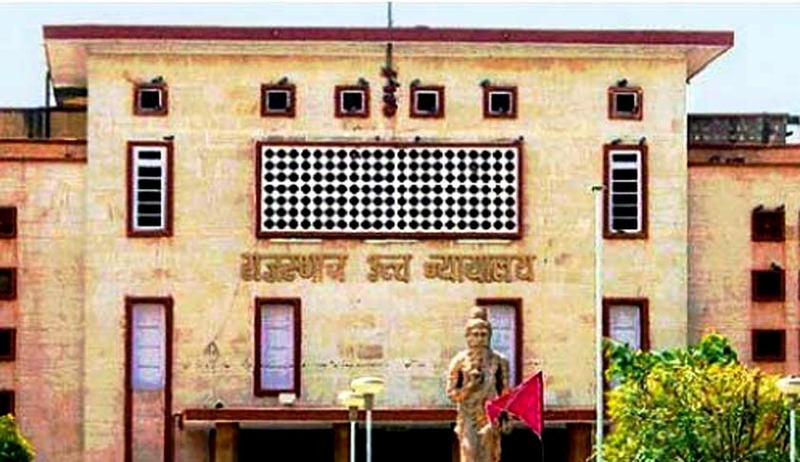 Rajasthan High Court has directed the State Government to release financial assistance to Swami Keshvanand Rajasthan Agricultural University, Bikaner for payment of pension to the retired employees holding that it is not possible for them to survive and maintain their family. The Court also observed that it is very unfortunate fact that during pendency of this writ petition, more than 25 retired employees died due to non-payment of pension to them for survival. Justice Gopal Krishan Vyas has passed the order in a writ Petition filed by Pensioners' Welfare Samiti of the Swami Keshvanand Rajasthan Agricultural University, Bikaner. The crux of the argument for the petitioner is that all the members of the petitioner Samiti are retired employees of the University and due to creation of new Universities by the State legislature, the number of existing employees of the Rajasthan Agriculture University, Bikaner drastically reduced, so also due to implementation of 6th pay commission, the University is not in position to pay pension to the retired employees from last 10 months on the pretext that no funds are available to pay the pension. The University made request to the State Government to provide financial assistance but State Government flatly refused to pay the same. It is also argued that as per the Constitution of India, there is right of education given to the citizens, therefore, education is sovereign function of the State, so also, under Article 21 of the Constitution of India, there is right of live, therefore, the State Government cannot deny the legal right of the employees to get pension as per the regulations framed by the University upon instruction issued by the State Government. The State Government is under obligation to provide grant and financial assistance to the University, therefore, both the orders impugned in this writ petition may kindly be quashed and the State Government may kindly be directed to provide financial assistance to the University to pay pension to the retired employees of the petitioner Samiti because due to non-payment of pension from last 11 months, one after another employees are dying and during pendency of this writ petition more than 25 retired employees died because they did not get pension. Therefore, the State Government may kindly be directed to release the fund to the respondent -University for providing pension to the members of the petitioner - Samiti. The Court held that as per the settled principle of law, the University which is established under the Act of 1987 is a statutory body of the State because it is created under the Act promulgated by the State legislature. Being statutory body of the State, the respondent-University is "State" within Article 12 of the Constitution of India. As per directive principle provided in the Constitution of India, the State Government is under obligation to provide education because there is right to education given to the citizen of India in the Constitution. The education is sovereign function of the State, therefore, for agricultural development and for providing knowledge of agriculture, the State Government enacted the Act to establish the respondent-University. It is also held that State Government cannot deny to own responsibility to provide funds for payment of pension to the retired employees because under Article 21 of the Constitution of India and upon the fact that State Government directed to the Universities to implement pension scheme for the welfare of employees and their family, therefore, the University promulgated the pension regulation, 1990 and made applicable as per Government decision. The State Government is directed to release financial assistance to the respondent-University for payment of pension to the retired employees-members of the petitioner- Samiti as the retired employees of the respondent- University are not getting their pension from last 11 months, therefore, it is not possible for them to survive and maintain their family. It is very unfortunate fact that during pendency of this writ petition, more than 25 retired employees died due to non-payment of pension to them for survival. The respondent-State is directed to release the financial assistance to the respondent-University for payment of pension and arrears of pension to the retired employees of the University within a period of one months from the date of receiving certified copy of this order. The respondent-University is directed to pay regular pension from this ensuing month to the retired employees forthwith from the funds available with University and adjust the same as soon as financial assistance received from the Government as per directions given in this writ petition. The arrears shall also be paid from the financial assistance received from the Government of Rajasthan.